The McGill family originated in Ayrshire, and had been residing in Glasgow for two generations by the time James was born in the family home on Stockwell Street. The McGills were metalworkers, and, from 1715 onward, members of the hammermen's guild and burgesses of the city. James was educated at the University of Glasgow, but his history between matriculation and emigration is hazy. In 1766 he left for Montreal to be the deputy of the Quebec merchant William Grant, stopping over in Michilimackinac to supervise the dispatch of canoes. Like many other traders working from the southern Great Lakes, he conducted a number of separate enterprises with different partners simultaneously. He began trading on his own accord as early as 1767, obtaining licenses for two canoes and cargoes valued at £400. Two years later, he began his long association with Isaac Todd and longtime agent John Askin. McGill spent nine years in the southern Great Lakes region in almost constant danger, navigating the uncharted rivers and lakes, wintering in unmapped wilderness, and living off the land: such was the life of a pioneer fur trader. By 1775 he had established himself as a successful merchant, dealing in furs, ammunition, and general goods, and from that point on took up permanent residence in Montreal. He became a family man the next year when he married a widow with two sons, Charlotte Trottier Desrivieres. The elder son, twelve-year-old Francois-Amable, would later become his stepfather's partner and heir, while the younger, Thomas-Hippolyte, would earn a commission in the 60th Foot. McGill's commercial position was stabilized once he was brought into his wife's wide family circle. That same year (1776) he received his first public appointment, Justice of the Peace. This commission marked his entry into the council that was the de facto government of Montreal, in which he would play an important part over the next several decades. 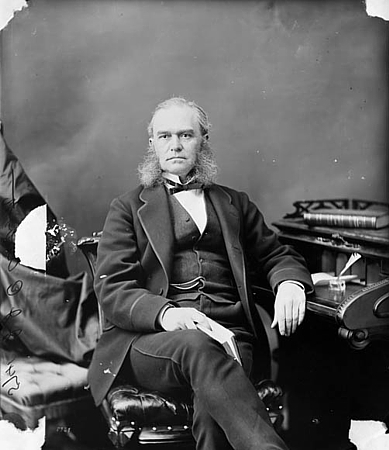 One of his most influential roles was his membership in a committee that reported on the need for a Legislative Assembly for the colony of Lower Canada, to which he would later be elected three times. His business also prospered: he extended his trade to Grand Portage in Minnesota, and by 1779 was one of the largest shareholders in the North West Company. In the 1780s he then turned his attention toward Ohio country, which supplied around sixty percent of the fur trade revenue between the Ohio River and Lake Athabasca. Around this time, his brothers James and Andrew joined him in Montreal and worked as merchants in his firm, McGill, Todd & Company. McGill's empire was centered on the warehouses on Rue Saint-Paul, the place from which furs from Detroit and Michilimackinac were shipped to Great Britain. The warehouses also received imports like tobacco, sugar, molasses, and rum from the West Indies; from Britain they imported metal ware, textiles, and powder and shot. Rudimentary banking systems were also established at the warehouses: foreign currency was exchanged, pensions were safeguarded, and notes were discounted there. 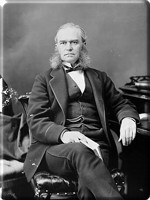 McGill also exploited his friendship with Governor Lord Dorchester, Guy Carleton, to corner the supply market to military posts along the Great Lakes. The 1783 Treaty of Paris, which, among other things, ceded the Ohio country to the United States, threatened the stability of McGill's fur trade. Of prime importance was Fort Detroit, whose geographical advantages were paramount; moreover, it was home to one of his oldest associates, John Askin. 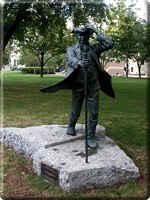 Askin's waning success in the fur trade and his ventures in land speculation had heavily indebted him to McGill. In lieu of monetary repayment, McGill and partners allowed Askin to repay the loan with land. This resulted in legal difficulties, however, in 1796 when the British government officially transferred Detroit to the United States. In compensation, McGill was given land on the Canadian side of the river, including territories in the counties of Essex and Kent. These deals, effected between 1797 and 1805, marked McGill's entry into land speculation. In 1801 he acquired 10,000 acres in Hunterstown Township and 32,400 acres in Stanbridge Township; in the same period he went on to add additional properties in Upper Canada near Kingston and York to his collection. As the fur trade declined, McGill increasingly turned his attention to public service; his dedication to that sector distinguished him from many of his contemporaries in business. After serving as city magistrate for several years, he was elected to the First Parliament of Lower Canada for the riding of Montreal West in 1792; his candidacy for speakership, the assembly's highest position, spoke to his competence in French. That same year he was also appointed to the Executive Council. 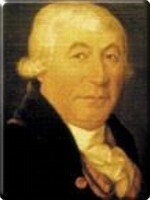 Although he did not stand for reelection to the Legislative Assembly in 1796, he was returned for Montreal West for the Third Parliament four years later, and then again for Montreal East in 1804 for the fourth parliamentary session. McGill's business career exemplified the economic development of Lower Canada in the late eighteenth century. As the fur trade declined, new interests, such as land speculation, banking, and (what Lord Selkirk called) "the ordinary Colonial trade," and other types of ventures replaced it, with McGill winding up his fur trading enterprise in 1810. By adapting to the changing economic conditions, McGill and his fellow businessmen assured that Montreal would maintain its metropolitan supremacy. The end of McGill's life was clouded by the War of 1812. Although he did not brave active service, the staff duties he undertook as colonel of the 1st Battalion, Montreal Militia were heavy. Lower Canada's administration also fell upon his shoulders: in 1813 he became temporary president of the Executive Council. He was also recommended for membership in the Legislative Council, but he passed away before his installation. His death was sudden and unexpected. 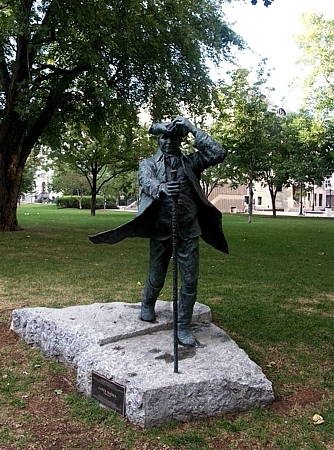 "The richest man in Montreal" left his most of assets, the majority of which were real estate holdings in the two Canadas and investments in the United Kingdom, to his wife and stepsons. Other beneficiaries included old friends like John Askin, the poverty-stricken residents of Montreal, the Hotel-Dieu, the Sisters of Charity of the Hopital General, the Hopital General of Quebec, and two charities in his hometown of Glasgow. Encouraged by John Strachan, who had entered into the McGill family in 1808 when he married Andrew McGill's widow, Ann Wood, James also left funds for the establishment of an English-language institution of higher learning. McGill set aside £10,000 and his Burnside estate for the Royal Institution for the Advancement of Learning - the agency of the provincial government responsible for schools that McGill, as a legislator, had helped to create - to establish a college or university that was to bear his family name. After a prolonged legal battle with the Desrivieres, the RIAL obtained a Royal charter for McGill University in 1821. 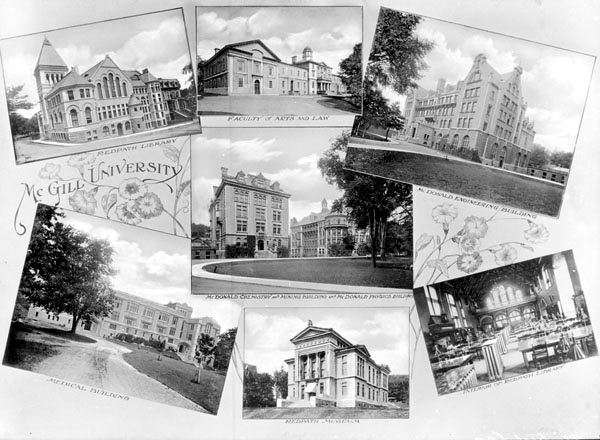 The school held its first session in 1829, and the Faculty of Medicine granted its first degree, a Doctor of Medicine and Surgery, in 1833 (this was also the first medical degree to be conferred in the two Canadas). James McGill was buried in the old Protestant Dufferin Square Cemetery, but his remains were re-interred in front of the campus Arts Building in 1875.